See all the J. Mendel Fall 2018 looks from the runway. See all the J. Mendel Spring 2017 looks from the runway. 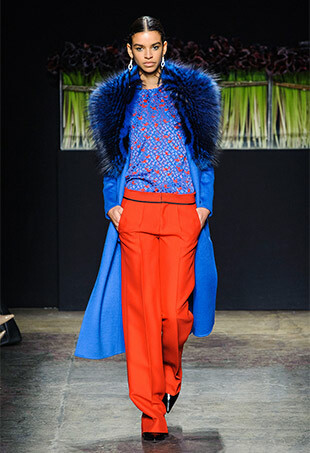 See all the J. Mendel Fall 2016 looks from the runway. See every J. Mendel Spring 2016 look from the runway. It was the eye-catching gray hue of Emmy’s paneled leather sleeveless dress with structured skirt that really demanded attention. Before slipping on a set of lingerie-inspired looks for her runway performance, Taylor wrapped herself up in J. Mendel. Michelle was clearly feeling blue on opening night courtesy of this Resort 2015 sleeveless shift. 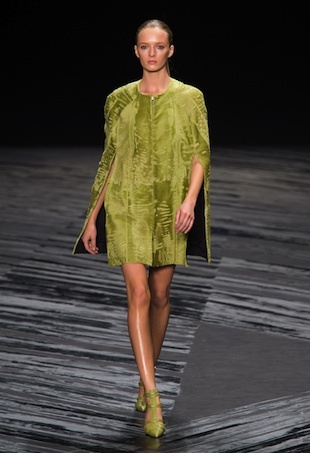 See all the looks from the J. Mendel Spring 2015 runway show. Maria Sharapova Sports a Fiery J. Mendel Dress to Promote Supergoop! Maria’s tennis-inspired red-orange sleeveless dress featured a flirty, pleated skirt. Anna’s Spring 2014 sleeveless dress featured elaborate embroidery and a subtle side slit. 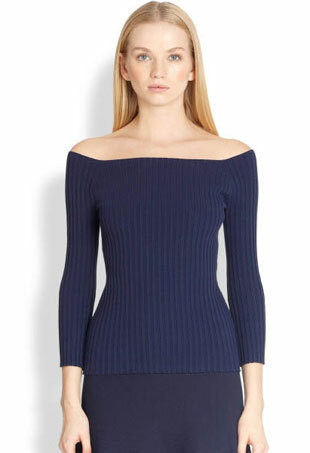 After a long winter, get ready to show some skin for spring by spotlighting the body’s sexiest erogenous zone — the shoulder. 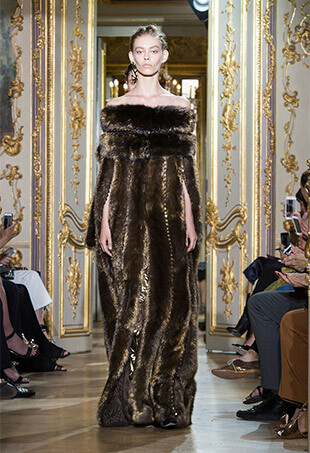 Gilles Mendel is a master when it comes to fur and eveningwear, and this season he dazzled with both.